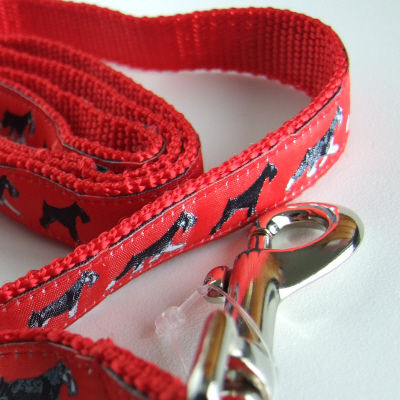 A Miniature Schnauzer design on Red woven ribbon sewn onto sturdy Red nylon webbing. 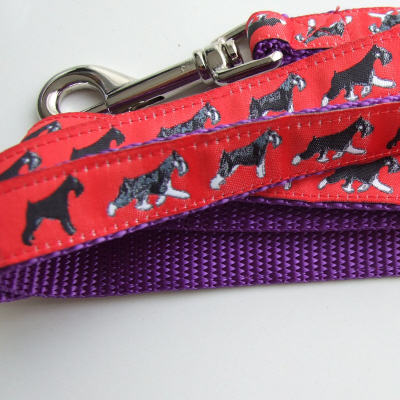 A Miniature Schnauzer design on Red woven ribbon sewn onto sturdy Blue nylon webbing. 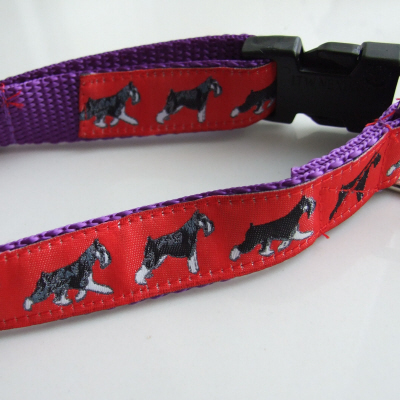 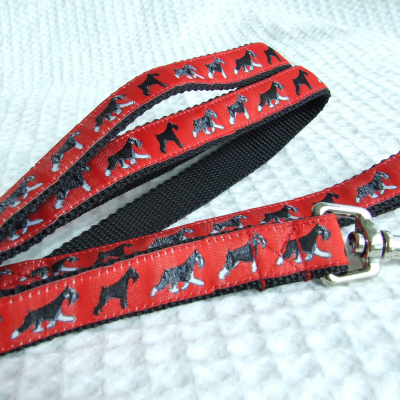 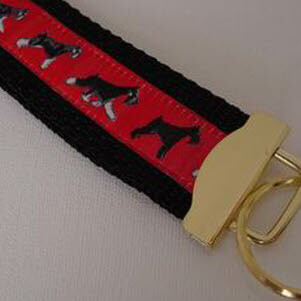 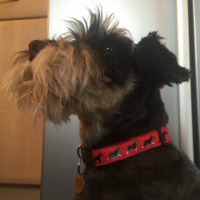 A Miniature Schnauzer design on red woven ribbon sewn onto sturdy black nylon webbing. 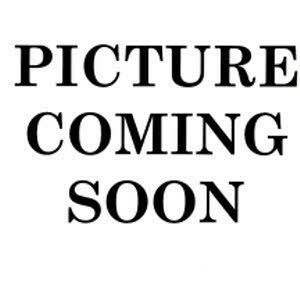 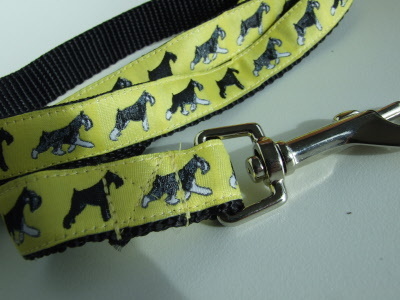 A Miniature Schnauzer design on Yellow woven ribbon sewn onto sturdy Yellow nylon webbing. 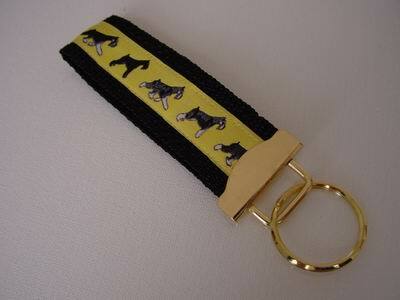 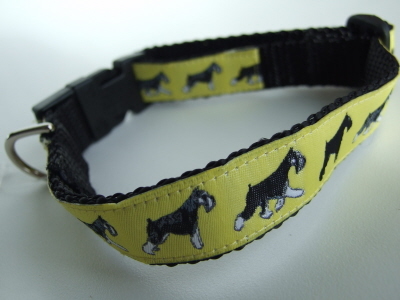 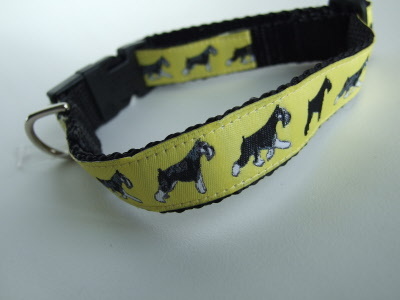 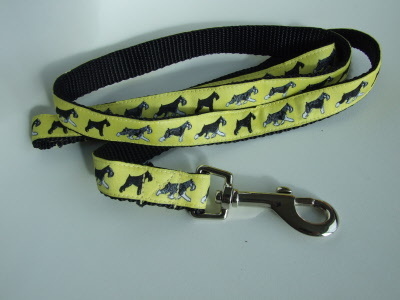 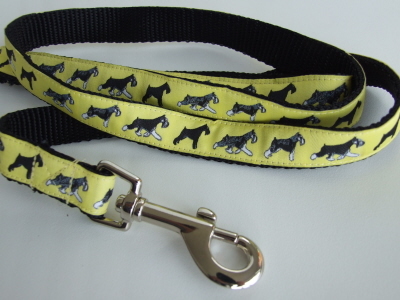 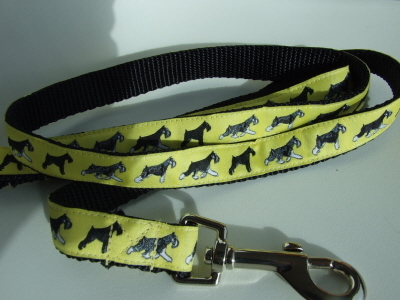 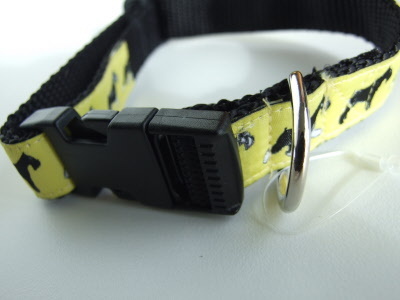 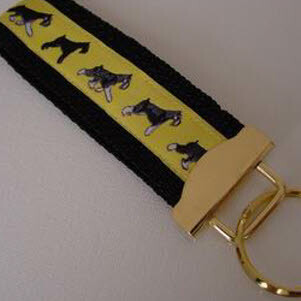 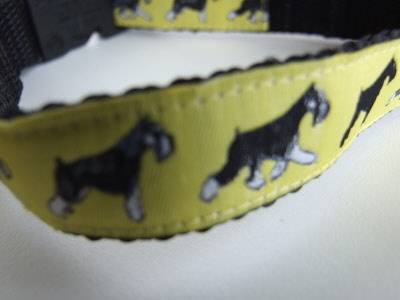 A Miniature Schnauzer design on Yellow woven ribbon sewn onto sturdy black nylon webbing. 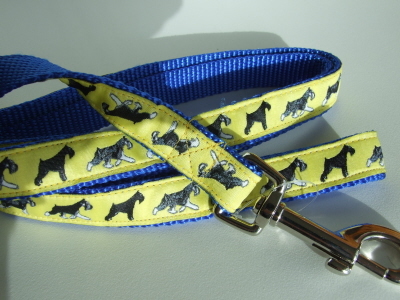 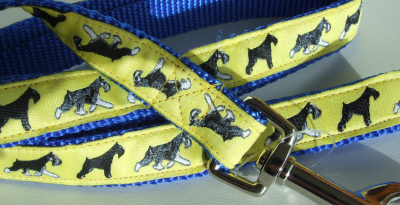 A Miniature Schnauzer design on Yellow woven ribbon sewn onto sturdy Blue nylon webbing. 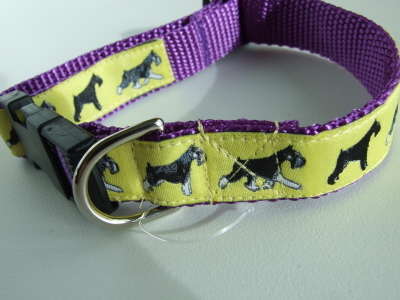 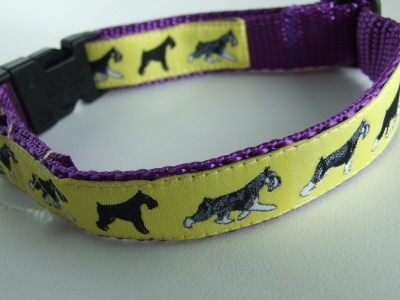 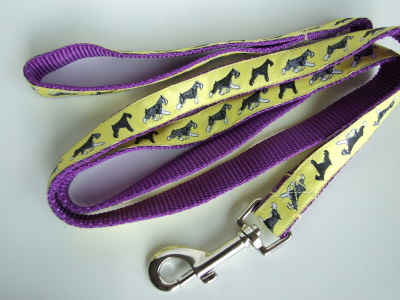 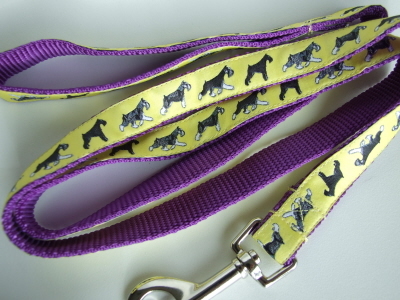 A Miniature Schnauzer design on yellow woven ribbon sewn onto sturdy purple nylon webbing. 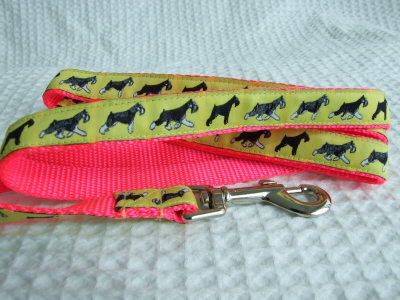 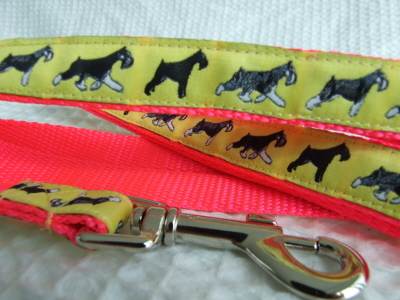 A Miniature Schnauzer design on yellow woven ribbon sewn onto sturdy pink nylon webbing. 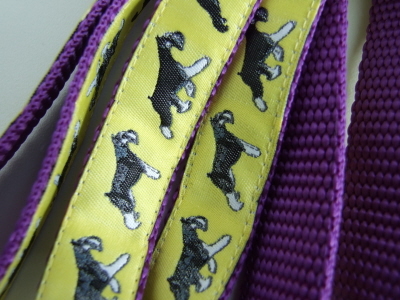 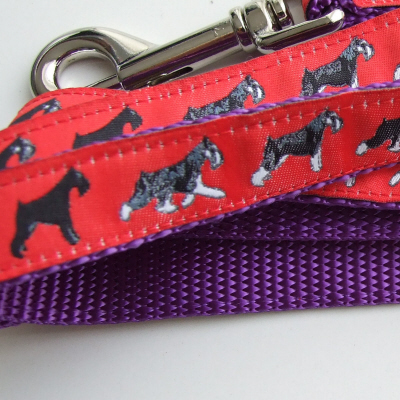 A Miniature Schnauzer design on woven ribbon sewn onto sturdy nylon webbing. 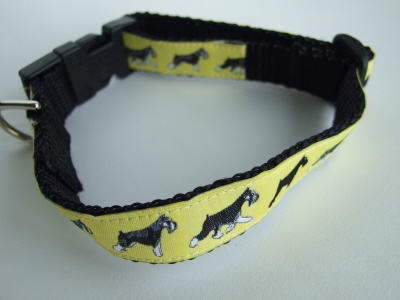 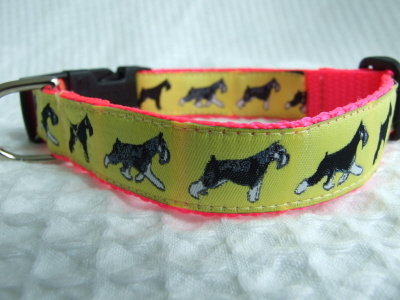 A Miniature Schnauzer design on Yellow or Red woven ribbon sewn onto sturdy black nylon webbing. 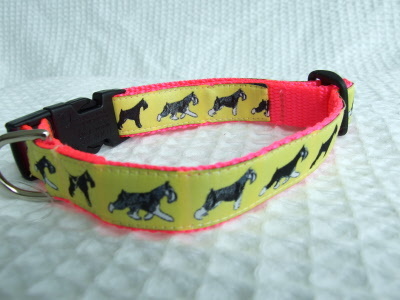 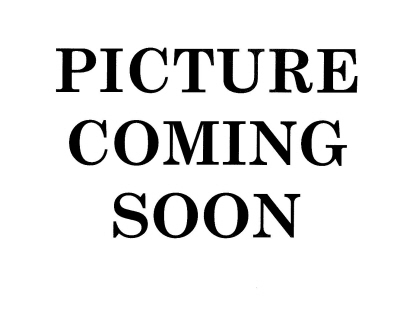 A Miniature Schnauzer design on Red or Yellow woven ribbon sewn onto sturdy black nylon webbing.